It's no secret that I love sports. So it should come as no surprise that I love the Olympics. I love all of the events, be it summer or winter. I love the competition. I love rooting for the great U S of A. I love cheering on an underdog. I love the sob stories, the success stories and the camaraderie among athletes. I'm an absolute sap when it comes to the Olympics. I cry during the commercials. I cry when someone wins gold. I cry when someone loses gold. I cry when someone sticks their landing. I cry when someone falls down. It doesn't matter what country they're from. And this is why I ultimately love the Olympics so much. It's a time when we can put our political and religious differences aside to root on the greatest athletes in the world. One such story has already tugged at my heartstrings. A Russian skier took a tumble during his cross-country semifinal. He tried to finish the race, but his ski broke in half causing him to fall again. It looked like his race was over when a man came running down the hill with a ski. The man quickly replaced the broken ski with another. Who was this man? He was a coach from another country! The Russian skier, Anton Gafarov, finished the race to cheers as though he'd won. He actually placed twelfth. Canadian coach Justin Wadsworth didn't think anything of it. He said, "It was like watching an animal stuck in a trap. You can't just sit there and do nothing about it. I wanted him to have dignity as he crossed the finish line." 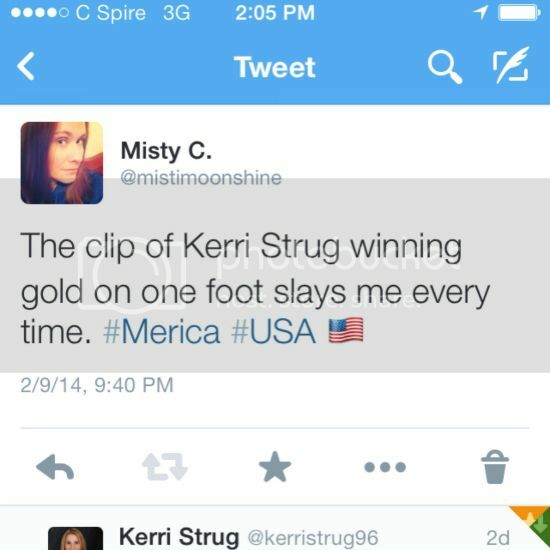 My all-time favorite Olympic moment is when Kerri Strug led the US women's gymnastics team to gold after landing a perfect vault on one foot because she was injured. The clip is often shown in commercials year after year. Here's an example. I think she says it all. I'm glad I'm not the only who loves to cry while I watch the Olympics!! 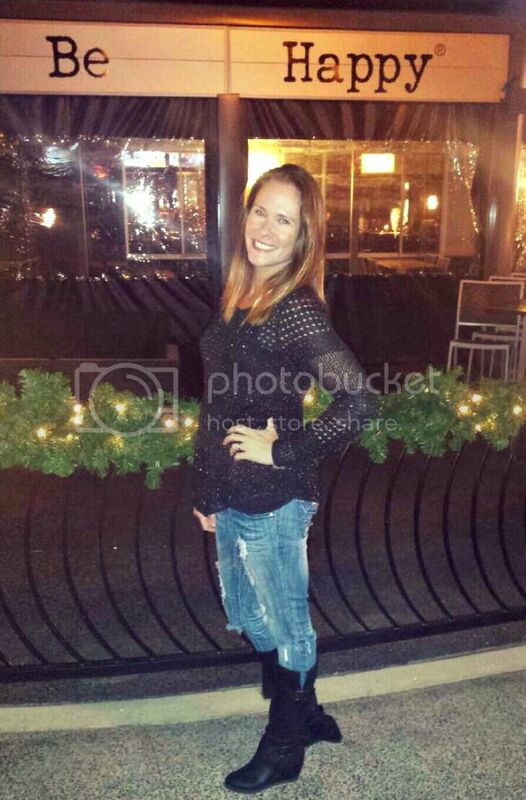 I hadn't seen that about the ski coach, that is SO AWESOME!!! This made my day! I love that a coach from another team was such a true supporter of the SPORT and helped out that skier. Crying as I watch that commercial. Love it! Ahh! I loved that Kerri Strug moment, too! The Olympics always make me weepy - especially the opening ceremonies! How did I miss that story? Amazing! I basically cry every night. My hardest cries have been for Bode Miller, Alex Bilodeau and Yuzuru Hanyu. Love that she responded that's so awesome! Such a great moment. And I didn't know that about the Canadian coach, what a great guy! The Olympics are amazing. I am such a sap. I love it all, too. It's so awesome when famous people re-tweet non-famous people! 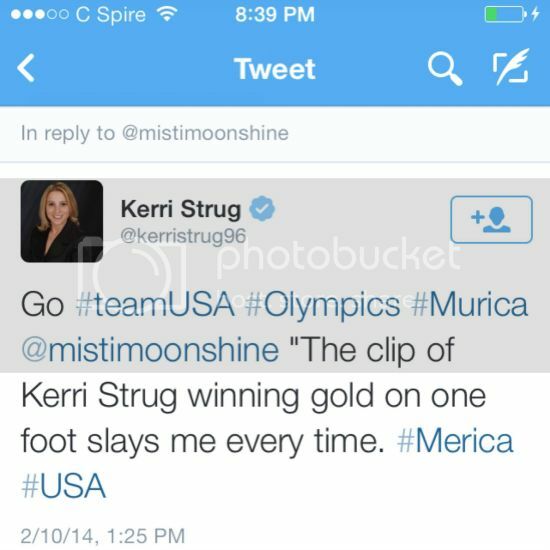 So cool about Kerri Strug - I remember watching that live! Thanks to this Olympics I've discovered my new favorite sport - snowboard cross. I think I could watch it for hours on end!